2016 is the year of the festival for us. 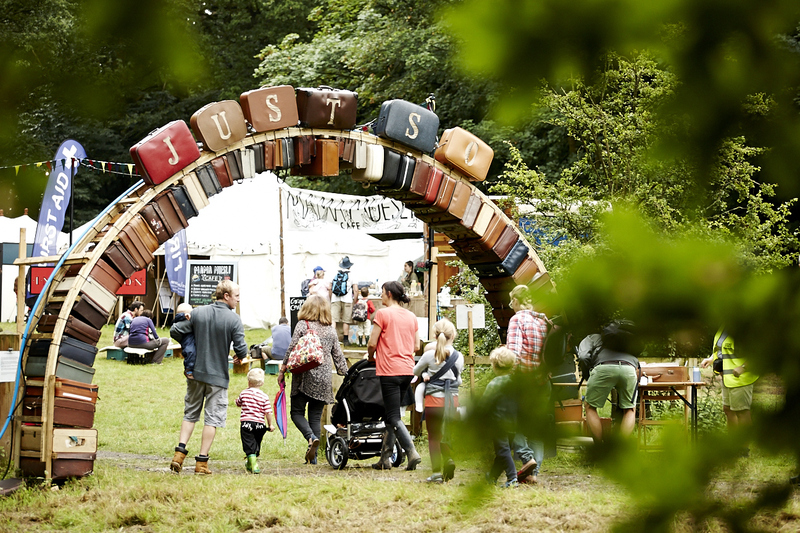 After a successful experience at the Corbridge Festival earlier this month, we are now making plans for the Just So Festival which is happening in Cheshire on 19/20/21 August. 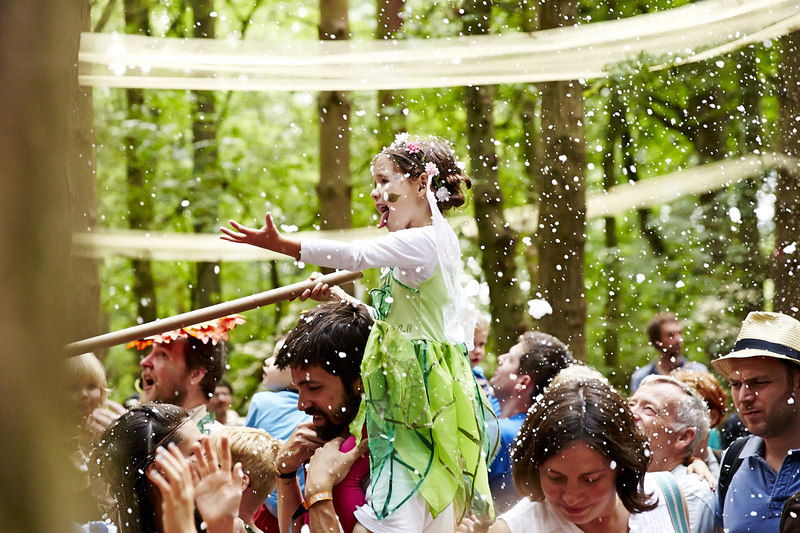 The award-winning Just So Festival is a festival like no other - produced by Wild Rumpus, it is a festival with an intimate feel to it (5000 capacity). 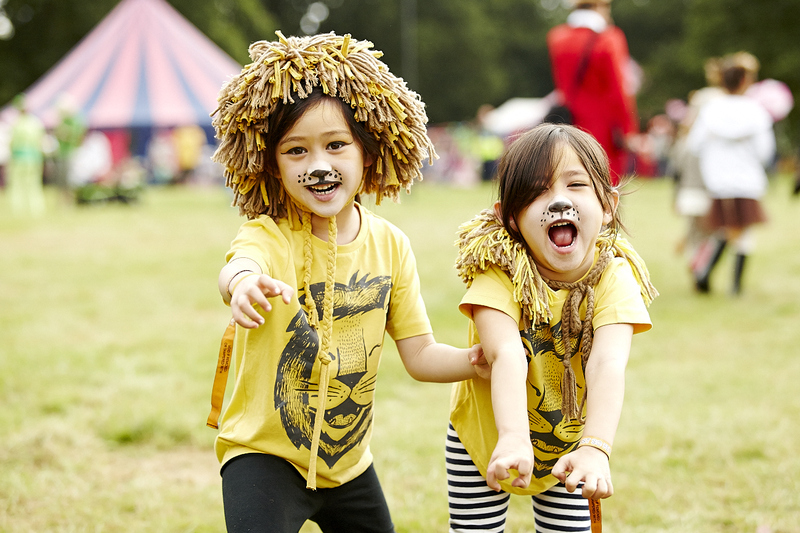 We can't wait to immerse ourselves in imaginative outdoor adventures and soak up the art, theatre, comedy and literature that has been put together especially with families in mind. Pillow Fight - Guests are advised to pack an extra pillow and head to the Village Green for a gigantic pillow fight. Midnight Feast - My three are going to LOVE this. A special midnight feast is being organised in the Village Green tent with stories, music and treats galore. Campfire Songs & Stories - The campfire in Spellbound forest is the place to head before bed and join in with a group singsong and listen to the captivating storytellers. The Tribal Tournament - Dress up and join your tribe (fish, frog, owl, fox, lion or stag) to take part in lots of tribal activities and try and score points before a big Tribal march on Sunday evening. 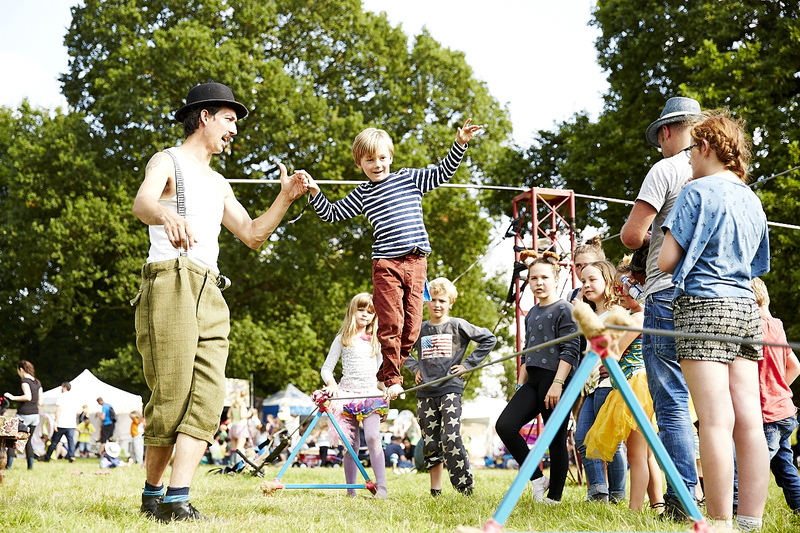 The Village Green - The Village Green is the heart of the festival where you'll find storytelling, live theatre, sky spy, the Just So bake off, the Just So Sports Day, Bubble Hour, a Ukelele workshop and much more. Also head over here to the green for the big Just So Pillow Fight and Midnight Feast. Head Over Heels - This is the most flamboyant area of the festival with circus workshops, sideshows, hula hooping, suitcase stories, a travelling treasury and lots more delights. 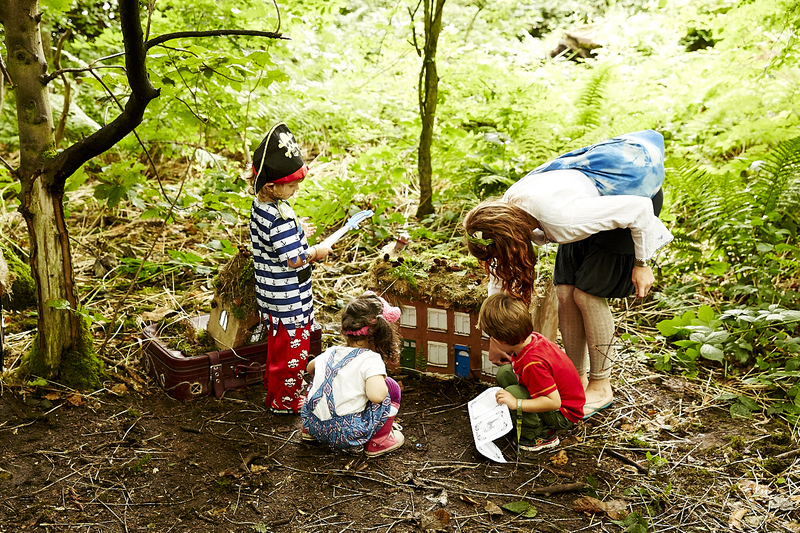 SpellBound Forest - Here you will find a magical woodland theatre. Expect dancing by day and bonfires by night. There is LOADS going on in this area (too much to list) including Samba Drumming Workshops, the Gruffalo, Bushcraft wands, Campfire stories, Fortune Telling Workshops, Bonfire Bands & Songwriting workshops....... Judging by the pics this area looks full of magic and I can't wait to see it for myself. Footlights - The place for foot stomping, twirling, whirling and erm.....crab wrestling apparently? There is a HUGE selection of live music on offer across a huge range of genres. Tales Of Animalia - Brand new for 2016, join the 'wild animals' for play, storytelling and song. Look out for the moving trees! Jitterbug - Dance your socks off in this area with CanCan lessons, ballet lessons, bollywood dancing, retro discos and more. I know Steve is going to LOVE showing off his best moves. This is honestly just a sample of everything that's on offer. What I'm really excited about is that the Just So Festival is a truly immersive experience and there will be fun, frolics and unexpected surprises around every corner. We will be taking our Skandika Kairo Tent again but for those who don't own a tent or fancy a more luxurious/hassle free experience, there is a range of boutique camping available on site. Ranging from Yurts, Tipis and Bell Tents there is something to accommodate everyone. There are a variety ot tickets available including day tickets from just £20 up to a full weekend with camping at £125 for adults & £50 for children. Under 3's are FREE. I am genuinely excited about attending the Just So Festival this year, especially as we are meeting up with our friends Here Come The Hoopers which will mean double the fun :D Let me know if you are going/have been before and have any advice for first timers like me. Disclosure: We are working with the Just So Festival as Ambassadors this year and have received complimentary tickets. Thanks - we can't wait!